The Mega Mobile commands respect on the road. Its size alone lets you know a product of confidence and potential has come in sight. The windows distinguish it from any other vehicle on the road. This custom built multipurpose vehicle is the next step in a long journey of Crossfire Trust's vehicles. The first ex Ulsterbus was purchased in 1982 when buses became barricades at political flash points. It was difficult obtaining insurance and convincing supporters that this new concept would actually work. Volunteers rearranged the seats in order we could use the vehicle for group discussion, hospitality, cross community interaction and demonstrating to the local community that there was another cause worth following. Despite its age it lasted eight years. The second bus, purchased on 1990, didn’t last as long but allowed us to make some adjustments and maintain a presence on the streets at the height of 'The Troubles'. 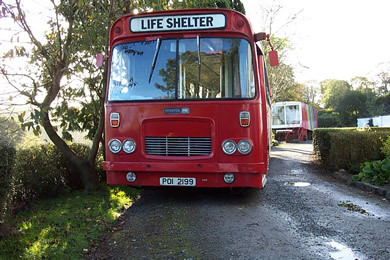 It was in 1997 Life Shelter was finally purchased, after a debate about old vehicles, their maintenance and how difficult it was to be consistent due to mechanical failures. It was bright and our confidence soon found the well driven track to Crossmaglen. 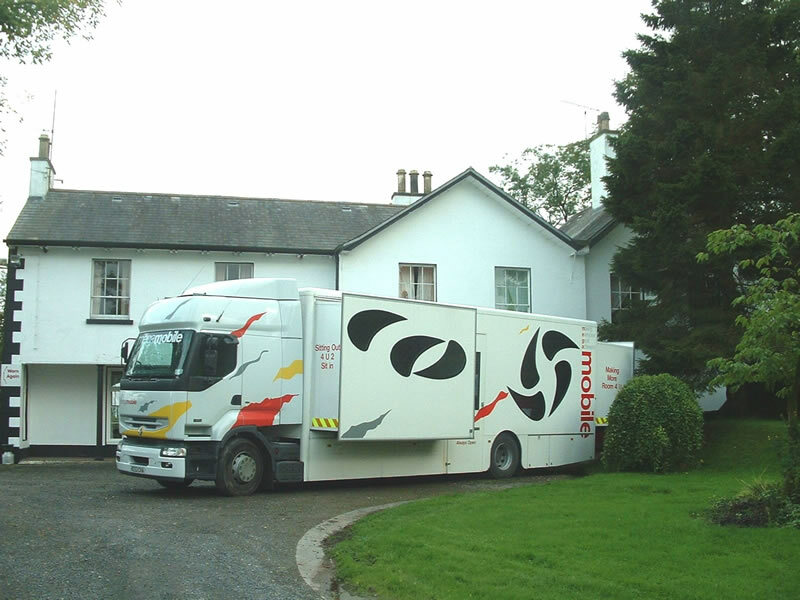 However it was not long before Life Shelter started to become unreliable and in 2003 the dream of a purchasing a new purpose built vehicle was born. The Care Wagon filled the gap. 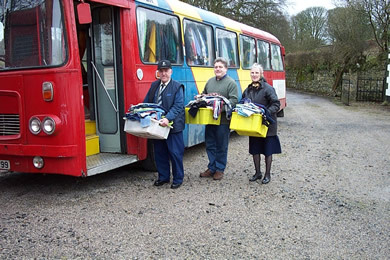 It had been our camp base since being purchased in 1983, but quickly adapted to life on the road as an alternative venue for listening and befriending. 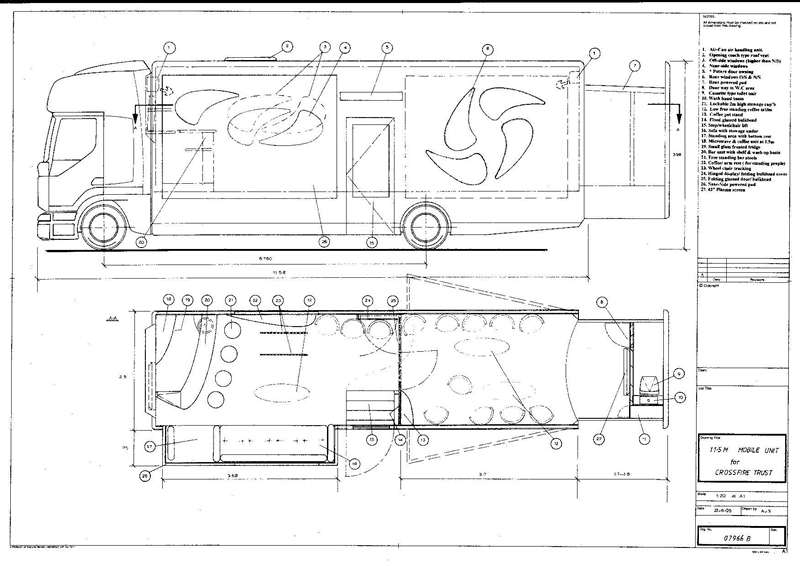 After much consultation, planning and changes to specifications the Mega Mobile became a possibility. 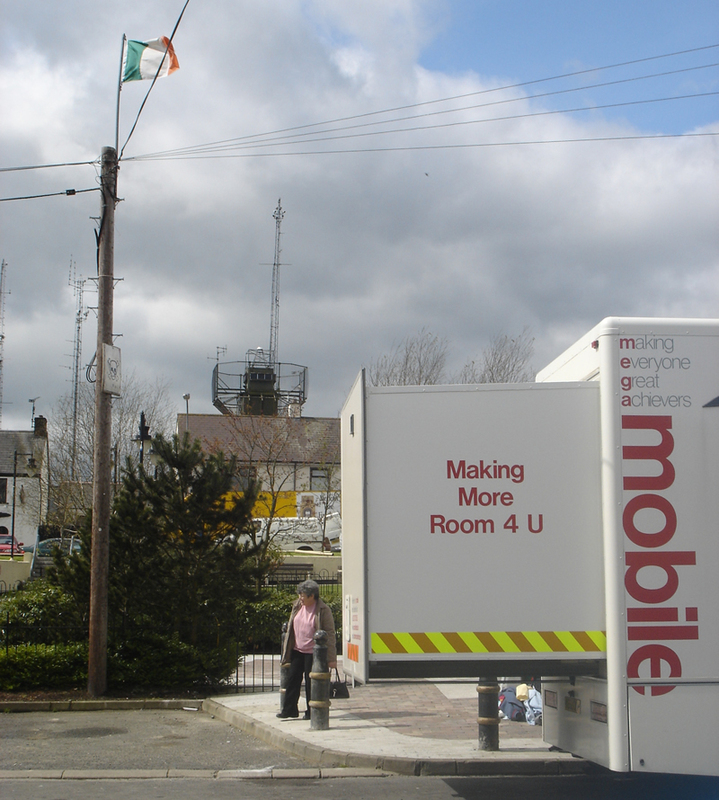 The Mega Mobile is unique in its field of design and hospitality and, using hydraulic technology, expands on site. It is fitted with power points for running computers and a plasma screen for presentations. It comes with bench and lounge seating, cane chairs and coffee tables or round tables and dining chairs. It has a small bar with sink, coffee making and microwave facilities. A movable glass partition can separate the bar from the plasma area to enable private counselling space if needed. Access is wheelchair-friendly. The audit confirmed the need and fund raising strategy was launched, spearheaded by Andrew Rawding with major input from Simon Keys who wanted to make a positive response to the bombing of their church building in St Ethelburga’s in London. 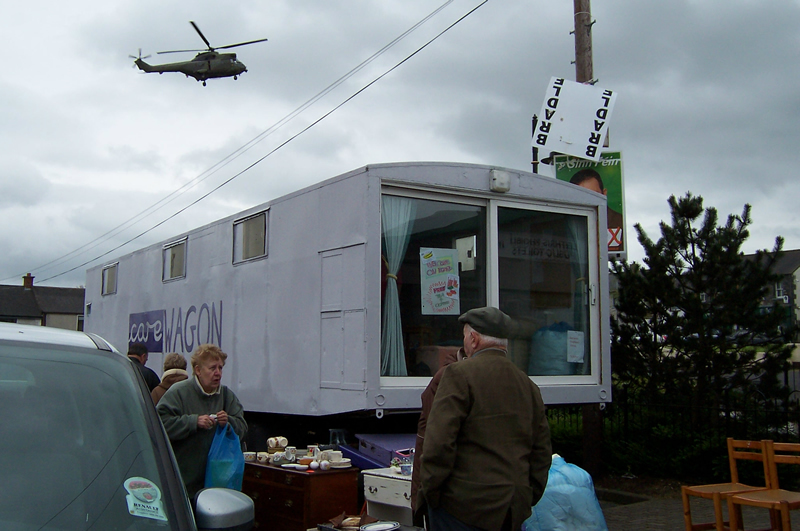 A total investment of £150,000, the Mega Mobile allows us to drive to the area of conflict or political tension and enables us to have a safe place for discussion and community interaction. A vehicle like this can be flexible and accessible to all in the community as it is not easily pigeon holed to either political persuasion. The fund was kicked started by a donation from the Irish Foreign Office and to date we have raised just £100,000. We continue to look for ways to fill the funding gap and should you wish to join with us in this exciting project, please feel free to make a donation. 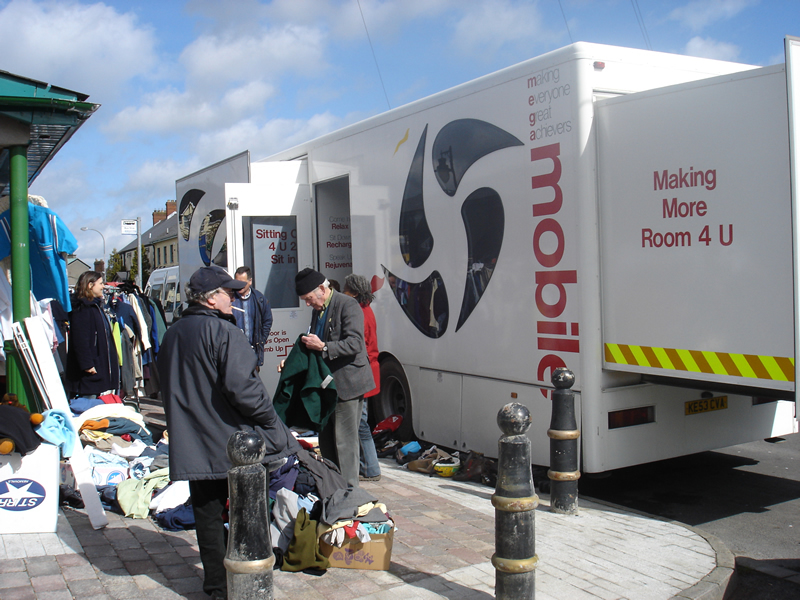 Currently the Mega Mobile can be seen in Crossmaglen Square at the regular markets, offering family support, befriending and reassurance. The Mega Mobile also visits agricultural shows and various other community events and festivals. To assist in the hiring of the Mega Mobile it is necessary to appoint a driver/operations manager.